Wedding day is one of the biggest milestones in life. You'd want it to be special, memorable, and particularly 'yours'. The fun and emotion-filled day will only be perfect if it reflects you and your personal style. So how do you go about doing so? Here are 7 adorable ways to leave your fingerprints on your special day. 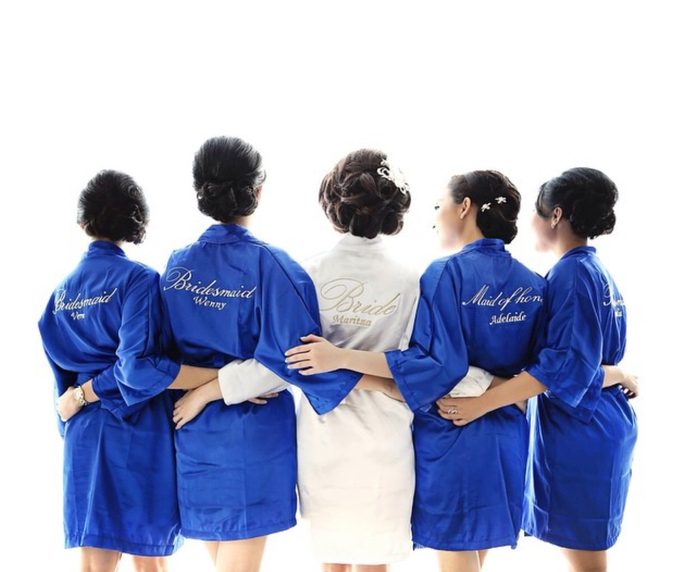 As you get ready to walk down the aisle with your best girls, put your bridal kimono robe. Not only is it very comfortable and make getting dressed easier after your hair-do and makeup, they are also perfect for your getting-ready shots – especially cute with the monograms of names at the back of the kimonos. Check our vendor Wedding Stuff Shop for this product. 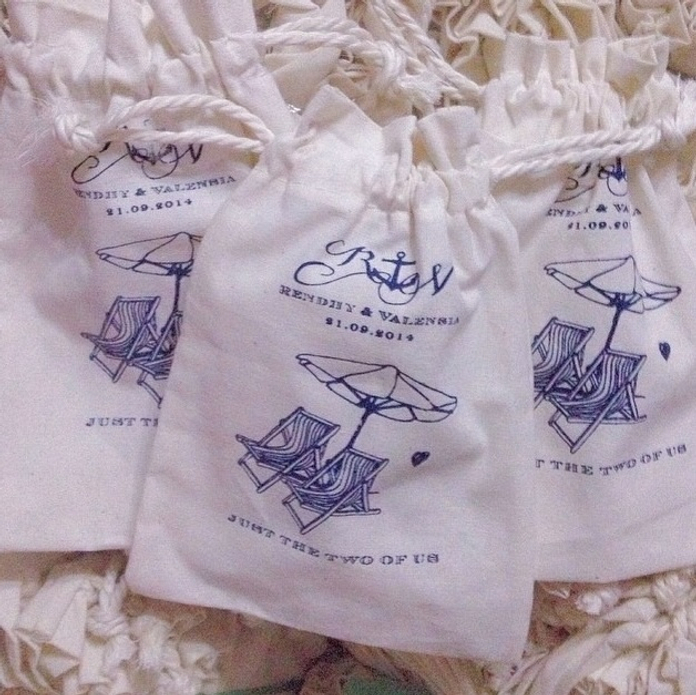 Give your guests something to remember you by: tote bags with your names on it. It is a super useful favor, as reusable canvas tote bags or drawstring pouches will help your guests to haul their stuffs on a grocery shopping trip and shows your support for the environment. Check our vendor Best Packaging for this product. 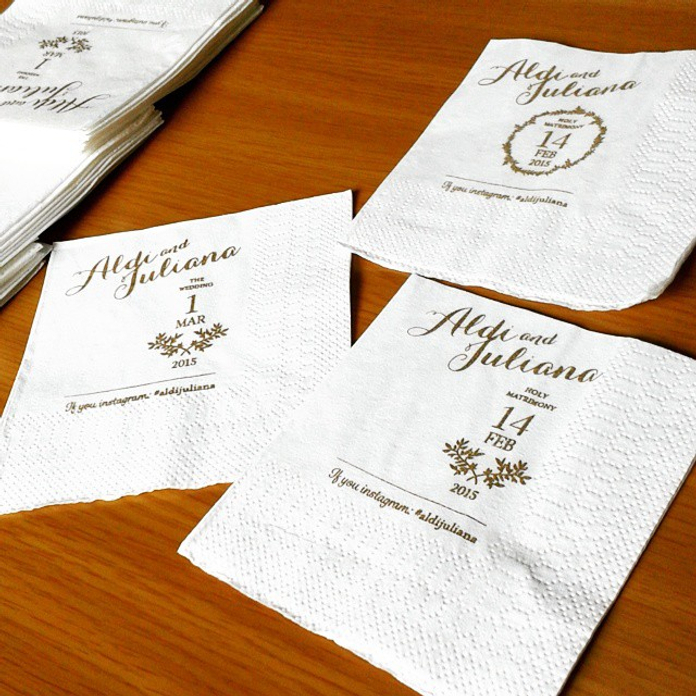 For your wedding dinner napkins, why use a stock design – if you can put on your signatures and let it be your something unique of the day? The guests will see your amazing effort of paying attention to the smallest details. Check our vendor AdiaPrintedNapkin for this product. To have and to hold. That's what these hangers do. It holds your dress until it is ready to be worn. Add some element of charm by etching your name on it –and it will be the perfect keepsake of your wedding day. 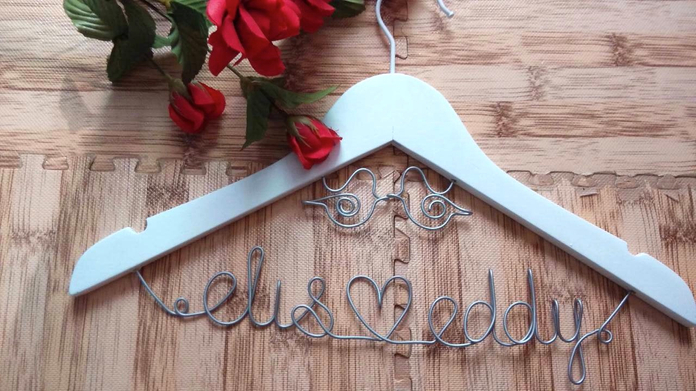 Check our vendor Bellicimo Personalized Hanger & Favors for this product. Wedding cake toppers are your bit of ornamentation on the sweet treat. 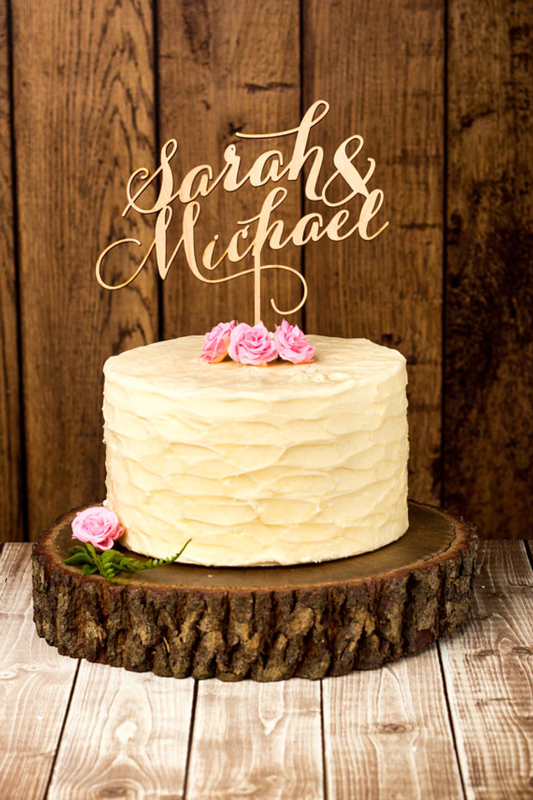 So make your statement with a monogrammed, custom-engraved acrylic creations cake topper. Check our vendor Ms. Topper for this product. 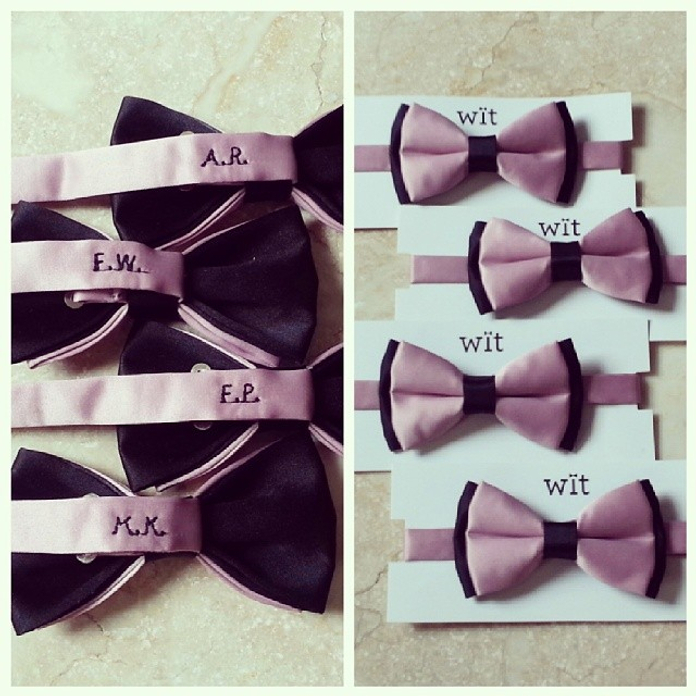 Appreciate the groomsmen for taking parts on your wedding by giving them a monogrammed bow tie as a thank-you gift. It is functional and stylish at the same time. Check our vendor WIT Wear It Too for this product. Finding the right ring box is almost as important as finding the ideal wedding rings. Make it different, special, and striking with pictures of the two of you and certain theme, colors and patterns that are your true signature. Check our vendor Signature Wedding Details for this product. 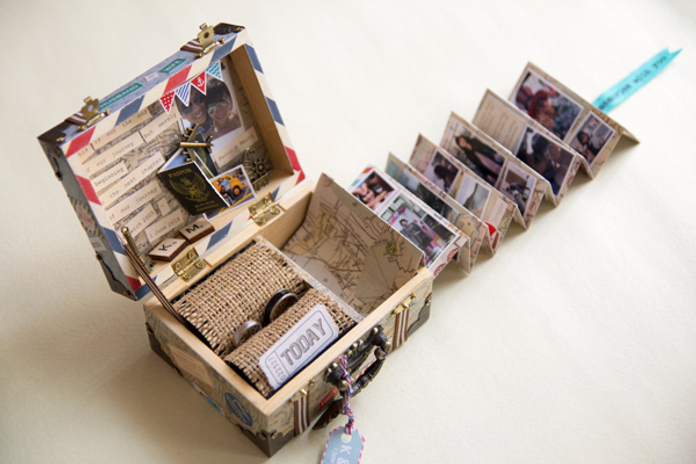 Do you have any fun and creative way to personalize your wedding details? Tell us in the comment section!